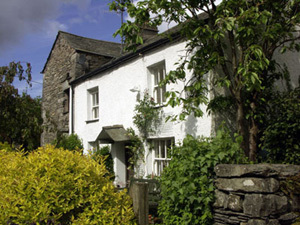 Crosthwaite Cottage - one home across three centuries! Click on any of these thumbnails to go straight to one of the cottages in the Crosthwaite range. 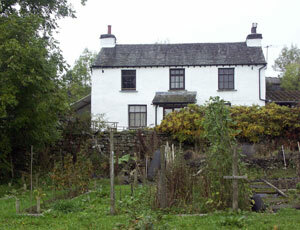 By 1750 the owners of Crosthwaite Cottage had made improvements to their home. The side entrance was retained but a front door had been added. 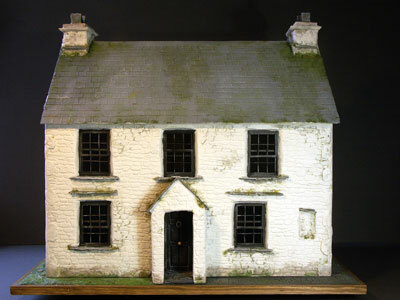 The inglenook fireplace was also still in place but a fireplace and chimney had been added to the left gable, necessitating the blocking off of the loft window. 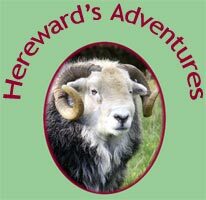 The walls of the cottage had been raised slightly to turn the loft into a sleeping area and a spiral stone staircase had been installed to replace the steep ladder. 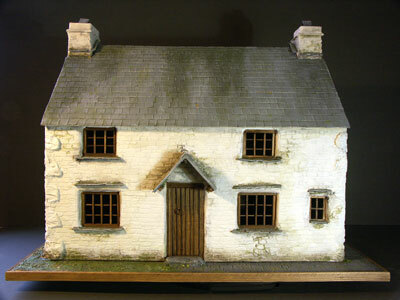 A small outshut, or annexe, had been built on the back of the cottage to accommodate the buttery. Dimensions, inc. base: W 42 cm, D 36 cm, H 33 cm. Dimensions, inc. base: W 42 cm, D 39 cm, H 35 cm. 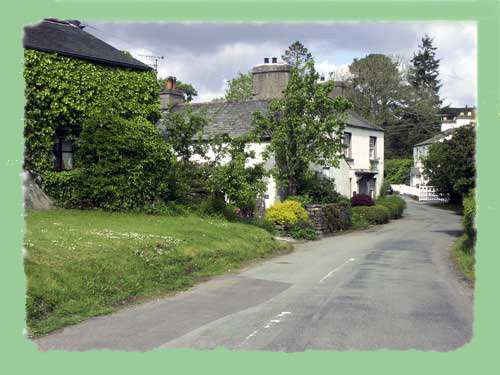 By the beginning of the 19th century the owners of Crosthwaite Cottage had made dramatic changes. Georgian sash windows had been added at the front. 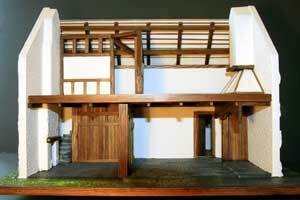 The height of the walls had been raised again to accommodate three normal size bedrooms, now accessed via a wooden dog leg staircase in the outshut to the rear of the building. 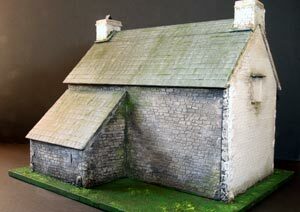 This outshut was continuous across the back of the cottage and contained both a pantry and a scullery. The inglenook fireplace had been replaced with a hearth designed to take an open range and there were fireplaces in the two main bedrooms. The side door had been blocked by now and a substantial porch added to the Georgian front door.